The 'Your Certificates' area lists your personal/client/secure-email certificates. 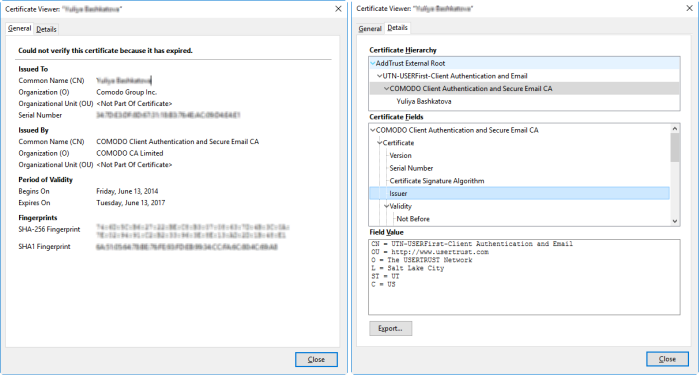 You might have stored your personal authentication, client or secure-email certificate downloaded from a Certification Authority (CA) or the one provided by your Network Administrator in your computer. You can import and install the certificate into your browser through the Certificate Manager. You will be prompted for entering the password you entered while storing the certificate in your computer. Your certificate will be imported to the certificate store of the browser. 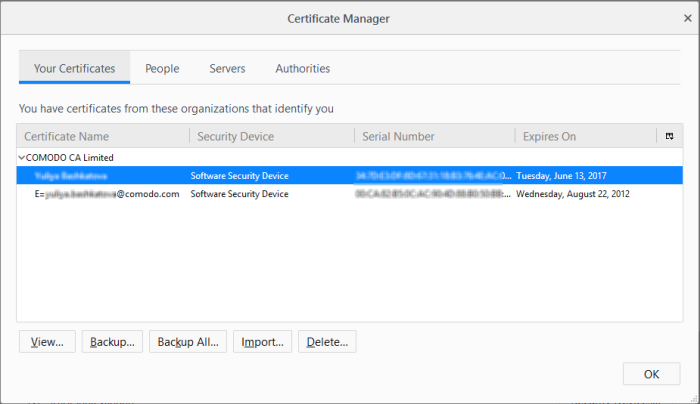 The general information and detailed information on the certificate will be shown under the respective tabs in 'Certificate Viewer' dialog. You can store a backup of your certificate(s) for safe-keeping. The backup enables you to re-install them if you have to uninstall and re-install the browser. You will be prompted to enter a password for the backup. Your certificate will be stored in the backup in an encrypted form with this password. In order to restore your certificate, you need to enter this password. 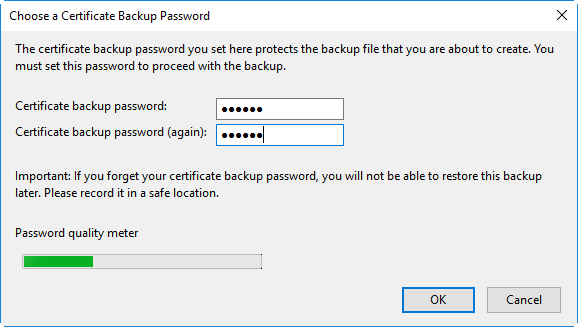 To backup all your certificates at once, click 'Backup All...' and follow the same procedure. 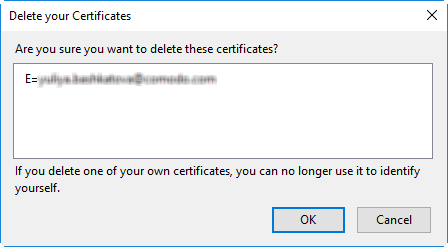 Note: If you delete your currently active certificate, you will not be able to use it for identifying yourself to the websites that require it.